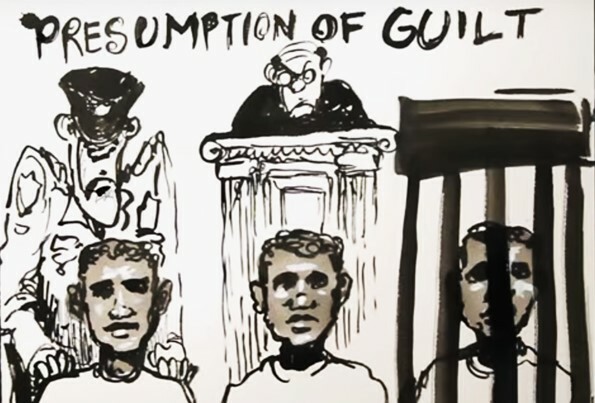 In 2015, the Equal Justice Initiative released Slavery to Mass Incarceration, an animated short film by acclaimed artist Molly Crabapple, with narration by Bryan Stevenson. The film illustrates facts about American slavery and the elaborate mythology of racial difference that was created to sustain it. Because that mythology persists today, slavery did not end in 1865, it evolved. Its legacy can be seen in the presumption of guilt and dangerousness assigned to African Americans, especially young men and boys, the racial profiling and mistreatment that presumption creates, and the racial dynamics of criminal justice practices and mass incarceration. Slavery to Mass Incarceration is part of EJI’s Race and Poverty project, which explores racial history and uses innovative teaching tools to deepen our understanding of the legacy of racial injustice. By telling the truth about our past, EJI believes it can create a different, healthier discourse about race in America.